With the tennis season inevitably coming to an end we’ve decided to prepare something special for all tennis fans out there! Having trouble starting a chat? Your date looks bored? Spice things up with these sassy tennis stats! That’s just as fast as a golden eagle can go! 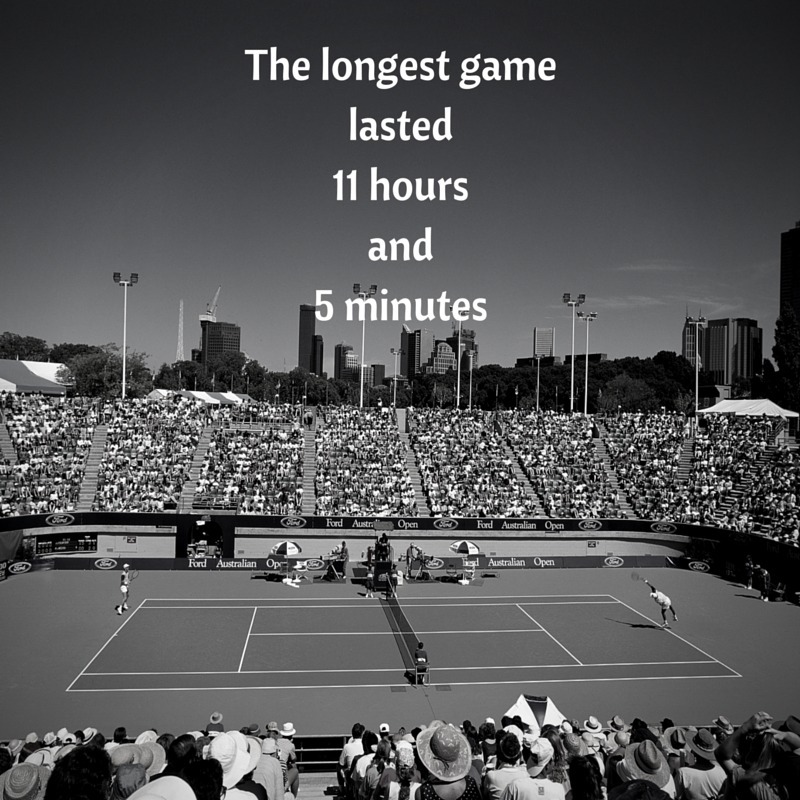 However impressive the record is, we regret to say that the Association of Tennis Professionals doesn’t officially recognise speed records due to the variance and inconsistency in monitoring equipment. John Isner served up this whopping number of aces in a match that appears later on in this list. He clearly loves breaking records and getting his name featured in our articles! 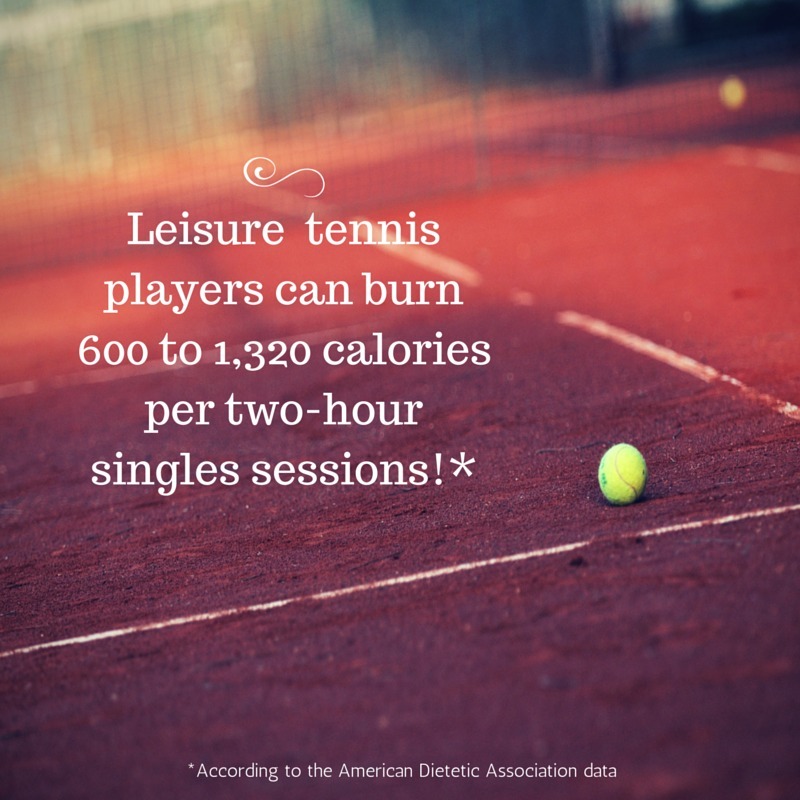 Going pro allows you to lose even more fat – competitive tennis players burn up to 1,728 calories! 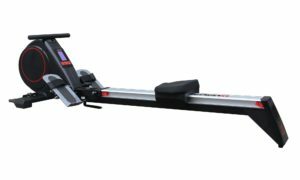 Of course the exact number of burned calories will vary between individuals and it depends on many factors such as gender, current weight and intensity. Oh what a game it was! Apparently John Isner and Nicolas Mahut just couldn’t get enough of each other. 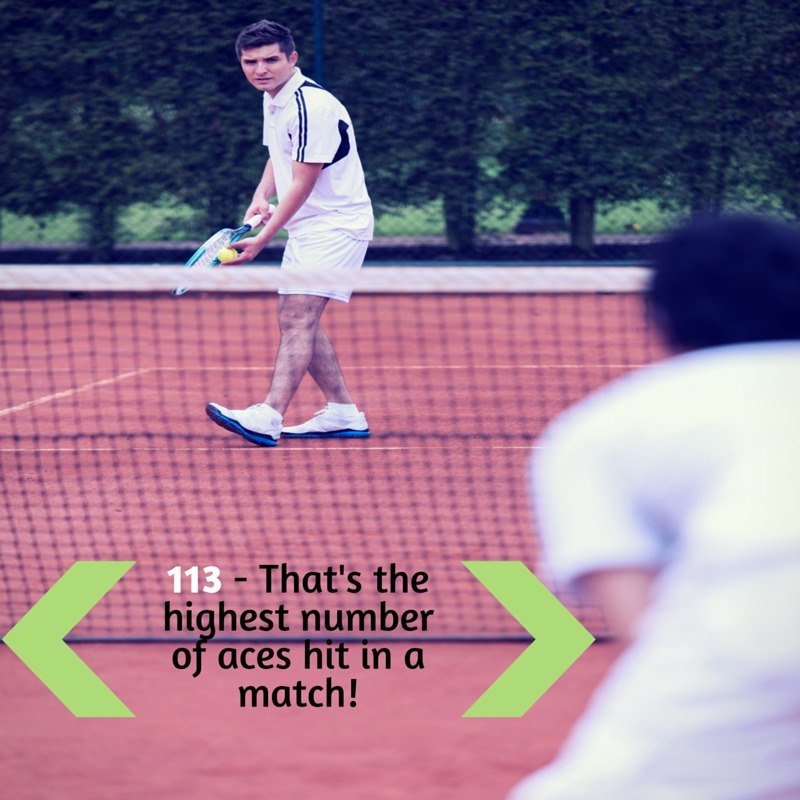 This epic match set at least 11 tennis records including most aces scored in a match, mentioned earlier in this article. As big tennis fans we just have to mention this tennis legend and her great achievements. 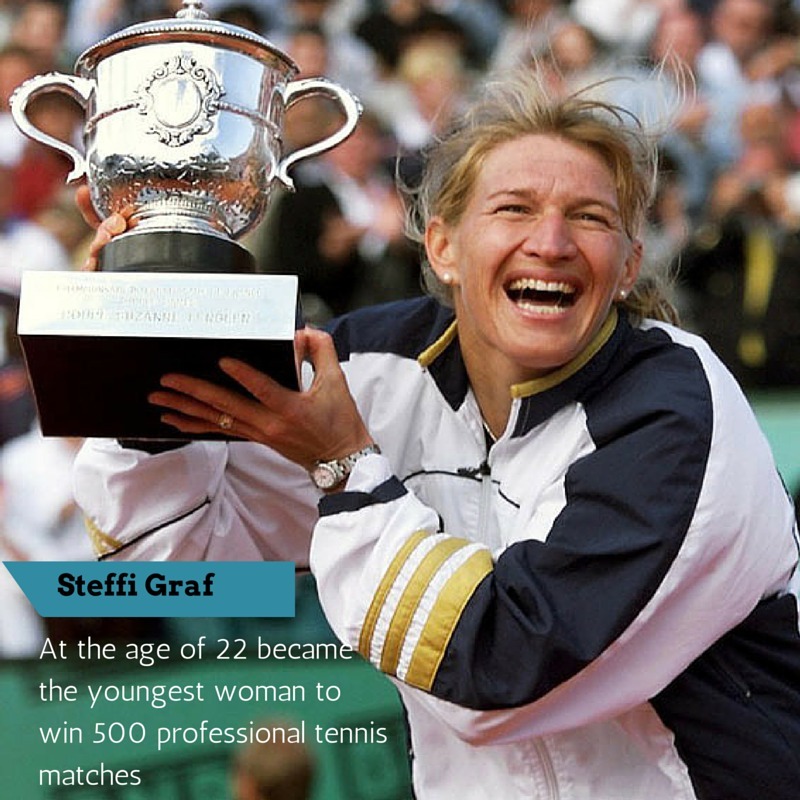 Steffi made her mark in the history of tennis by becoming the youngest woman to win 500 professional games. In 1988 she became the first player (male or female) to win a Golden Slam by triumphing in all four Grand Slam tournaments as well as winning the Olympic gold medal. Serve up one of these bad boys and thank us later!